After a long day of fun, the last thing most people want to do is set up a complicated tent. Fortunately, instant tents can provide the solution you've been looking for. They can provide the comfort of a home base and reliable coverage from the wind, sun, bugs, and other outdoor elements, without taking up much space or time. The Coleman Tenaya Lake Fast Pitch Cabin Tent will make it feel like you're living in a two-bedroom home with a closet and windows. It fits two queen air mattresses and features a room divider, storage pockets, and built-in closet with shelves and a hanger bar. 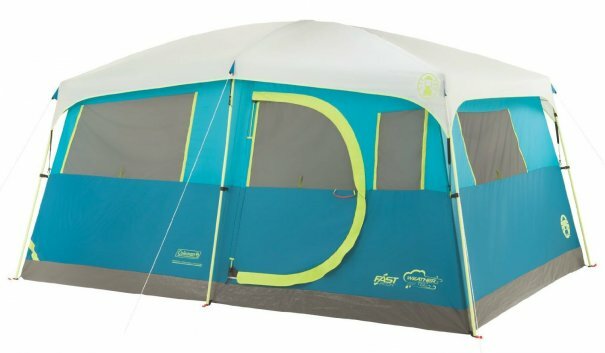 It features an E-Port, hinged door, Illumiline reflective guy lines, and a WeatherTec system with patented welded floors and inverted seams to keep you dry. The Fast Pitch design sets up in about nine minutes. It includes a rainfly and wheeled carry bag. It is frequently recommended online and has more than 500 five-star reviews on Amazon. 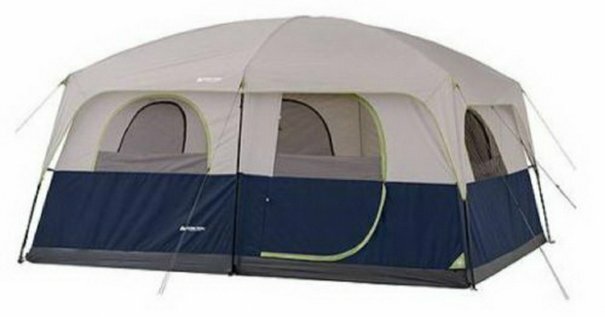 Amazon’s Choice for instant tents, the durable CORE Instant Cabin Tent sets up in only 60 seconds. It fits two queen air mattresses and has two rooms with a divider and hanging wall storage pockets. It has an adjustable ground vent, sealed seams, rain-resistant door and window seals, and water-repellent fabric. It also features an electrical cord access port, large double doors, and zippered privacy panels on the doors and windows. It's backed by a one-year limited warranty and is available in various sizes and options. It also includes a rain fly, tent stakes, and carry bag. 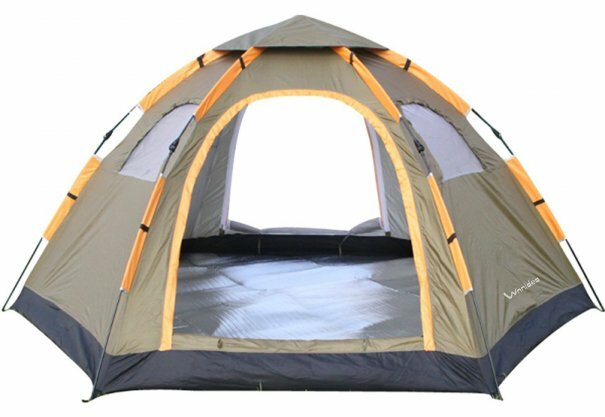 The spacious OZARK Tent has large windows on all sides and includes a room divider. It also comfortably fits two queen air mattresses. It's made of durable fabric, taped factory-sealed seams, and a factory welded 6" tub floor for rain protection. It's frequently recommended online and includes electrical cord access, a rainfly, carry bag, gear loft, and tent stakes. The durable Wnnideo Automatic Instant Pop-Up Tent can be set up in only one minute. It has large arched double doors, multiple mesh windows, and elasticized rain-resistant fabric. The waterproof, lightweight, spacious dome tent has good ventilation, wind resistance, and UV protection. It includes a storage bag and is frequently recommended online. 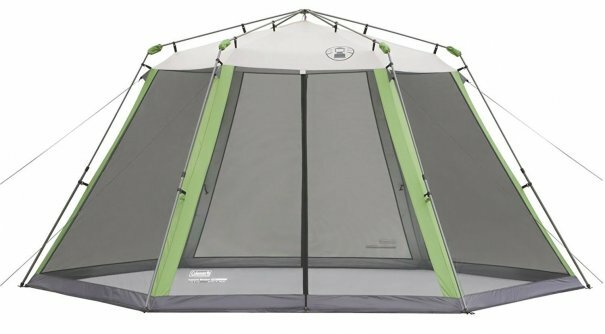 The Coleman Instant Screenhouse is perfect if you're just looking for a quick shelter that can protect you from the sun, wind, bugs, and the elements. It sets up in less than one minute. It's made of Polyguard 2X double-thick fabric with UV Guard 50+ UPF sun protection. The durable hexagon-shaped screened canopy has exclusive push-button release levers to protect your fingers. It also features two large zippered T-doors for easy access in the front and back. It includes a removable screen wall and carry bag, and has more than 500 five-star reviews on Amazon. 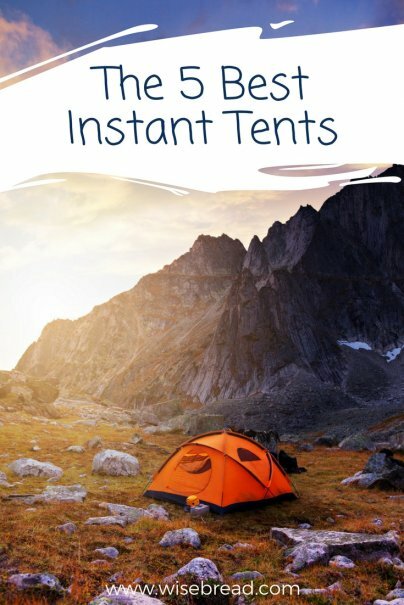 And those are our recommendations for the best instant tents. As always, be sure to check Wise Bread's Buying Calendar to learn when and how to buy just about anything!